On one evening, I was relaxing in a beautiful garden at beach hotel in Mombasa. I was enjoying the cool breeze and pleasant ambience. 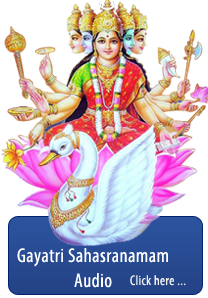 Maharshi Kanada discussed various esoteric subjects in which he had mentioned about co-creation. I was deeply trying to analyze this subject. I felt a very peculiar sensation around me and when I opened my eyes I felt very happy to see Maharshi Kanada who appeared in front of me as if to answer my queries. Mahatma said “Lahiri! Without knowing yourself you have co-created and as a result I manifested in front of you. Co-creation is a special ability. The power of nature has bestowed upon the human beings the power to co-create, specially in the year 1987 as I informed to you earlier that the earth’s magnetic grid started shifting from 1987 and continued to do so approximately for 25 to 30 years. What does it mean? It means that the positive collective human consciousness has increased the vibratory levels of the earth to a higher dimension. This facilitate the ordinary human beings with a little bit of inclination towards spirituality and an enquiring mind to progress in the spiritual path. To do some social service for the welfare of human beings would take them to higher dimensions. These human beings will assume the role of themselves being the co-creator You can rewrite the transcriptions in your DNA and Stem Cells. You can replace the negative information in the DNA with the positive. You can change even the heriditary diseases, disorders and replace with positive and healthy energies. You can rectify deformities. This is the gift the nature has presented to you. Basically the co creation involves three steps. The first one is the Sankalpa, the intent.). Which should be pure and strong. The second step is visualization, followed by the third step verbalization. Normally visualization and verbalization they will go together. You can program these three steps of co creation. The ancient Bharath had this profound knowledge and also the technology to achieve their desires. This technology was in the form of performing various Kriyas like Mantras, Yantras and Tantras”. Maharshi with a loving smile slowly disappeared. For sometime I was revising the whole discussion and I was moved very much by the compassion of Maharshis, Mahatmas, sages and sadhus of India. Once again I thought that people of India always have wrong information of the role of Maharshis and Mahatmasespecially in present India. I felt that the Maharshis and Mahatmas only are the true patriots. Unfortunately the present Indians worship the images of the silver screen but not the real heros, who are sacrificing their lives to save our lives. The media is definitely playing a very very negative role in influencing and creating a very negative world all around the society. In this way a stream of thoughts were overflowing my entire mind. With feeling of gratitude I bowed myself to all the lightworkers and went back to my room. I was thinking very deeply about co creation. I always look for some kind of evidence and very soon I received the answer. I remembered a very fascinating story of Shri Mahavatar Babaji creating a very beautiful palace. The story goes like this. Shyama Charan Lahiri was a very staunch devotee of Mahavatar Babaji, he was working as clerk in the Nagpur railway division under british officers. Very soon he gained a very good reputation and appreciation from his higher officials. His accounting system was very accurate. One day he received orders from his higher officials that he should go to Rani Kheth in the Himalayas to supervise construction work of the railways. He was very much surprised as to how he was chosen for this job. In those days it was very difficult task to travel to such a far of places like Himalayas. By using different kind of transport systems, at last after 30 days of travel he arrived at Raani Khet. The entire staff was living in the temporarily erected tents to safeguard themselves from the attack from wild animals. They used to make campfires around their tents. Shri Syamacharan used to go for an evening walk every day. On one such evening he was returning to his tent, he heard his name being called repeatedly. He was very much surprised when he looked at the source of this voice, he saw a young gentleman standing on a hilltop asking him to come. Syamacharan wondering at the incident, approached that young man with long hair, with brilliant aura around him. Enquiring politely he asked that gentleman in english “Sir! Who are you? how do you know my name?” The young man replied in english “We know each other since a very long time, please follow me”. With these words he led syamacharan in to a very spacious caves .on two elevated rocky platforms, syamacharan saw tiger’s skins, Kamandals (Small copper pot to carry water) and the place was kept very neat. The young man smiled and touched with his thumb, the at (Space between the two eyebrows) of Shri Syamacharan.He remembered his past life and recognized his guru, with choked voice he was very much excited and prostrated to this young man calling him “Oh great Mahavatar Babaji, my beloved guru - I remember now that I did tapasya under your guidance in this cave”. Babaji smiled at him and said affectionately “My dear Syama! I have been waiting for you since 33 years and keeping this place very neat and clean. You must be very much tired. My chelas will take care of you. I will meet you very soon.” with these words he disappeared. Syamacharan was still under the magic spell. Meanwhile the chelas took care of him and lead him onward journey on this hill top. Syamacharan followed them, after walking for sometime he noticed at a distant place a very brilliant light is filling the akash, resembling the cosmic flame. He could not contain his surprise and was excited to see brilliant sunrise spreading this cosmic flame. The chelas laughed at him and convinced him that it was not the sunrise, they continued that it was a creation of Mahavatar Babaji to honor you. Very soon they reached this wonderful place and Syamacharan to his amazement saw a very bright beautiful palatial structures. The great and tall pillars were studded with all kinds of precious stones which were emitting out brilliant rays of light. The walls and pillars were made of pure gold. The light rays falling on the pure gold structures gave out a very beautiful reflection light like of cosmic flame. In the hall there was a very beautiful golden simhasana (Royal throne) in the midst of this wonderful creation, Syamacharan lost his speech. Babaji entered quietly and addressed “My dear Syama!, welcome to this palace. Please be seated on the royal throne, before that let us have a royal feast”. With these words he made some gestures with his hand and lo!, there manifested all kinds of golden plates and vessels filled with various delicious food items. Many of which were favorites of Syamacharan They were hot and fresh. Syamacharan could not make out anything what was happening around him. Babaji said “Dear Syama You are an advanced spiritual soul. But you had a small desire to enjoy the luxuries of Maharajas and because of these small desires you had to take rebirth. I created this royal pleasures to satisfy your desire and liberated from the cycle of birth and death .. Hence will not have any more births. Your inner light will merge with divine light, now let us enjoy”. After having feast Syamacharan was made to sit on the throne. The tears of joy, and gratitude flowed from his eyes. He prostrated to his guru and cried “Oh my beloved guru, let me stay with you forever. I do not wish to go back to mundane world”. Babaji consoled him and said “Syamacharan! There is a purpose to your life. To attain moksha people think that they need to go to the jungles and do tapasya. But this is not true, even a married person - gruhasta can also attain moksha living in this materialistic world and while performing duties of gruhasta like you can also attain moksh. Your job is to motivate and inspire people and lead them to the right path to attain moksha. I only gave instructions to your higher officials to send the telegram to send you here. Tomorrow a telegram will be waiting for you instructing you to reporting to your office in Nagpur”. Saying few more encouraging words he disappeared. Shri Syamacharan slept and when he woke up from his sleep.,the following morning to his surprise there was no trace of huge palace and the chelas. He was sleeping on a rough terrian. He got up slowly and went back to his tent. The workers who were searching for him are very happy to see him alive. As Babaji said, Syamacharan found a telegram waiting for him with instructions to report back to his office back at Nagpur. This is how I connected this real story of co-creation of Mahavatar Babaji to the explanation of Kanada Maharshi. Here Mahavatar Babaji’s intent was pure as he wanted to liberate his disciple and give him moksha. When we ask questions with sincerity then answers will come from above. Once again I was involved in my routine work. On one Saturday after completing my official work, I wanted to visit Jalaram Bapu Temple in Nakuru in Kenya. There are many beautiful places in and around Nairobi and normally on weekends a lot of people in small groups visit these places to relax. It takes 2 to 3 hrs to reach this temple. It is on the National Highway. Nakuru is also situated near the equator. It is also an important commercial centre mostly run by the Gujarathi Kenyans. After parking my car, I took a room which was very well maintained. After refreshing I had entered the main temple. The hall was very spacious with the idols of various Gods along with Jalaram Bapu. The atmosphere was very peaceful and an inner joy of happiness spread all over my body and mind. I was not new to the hospitality of Jalaram Bapu. In Uganda in the year 1992, when the economy was in a bad shape, I found it was very difficult for me to have Indian food while I was on official tour in different parts of Uganda. Fortunately an elderly Gujarati friend travelling along with me had introduced some Jalaram Bapu followers in different towns. These followers used to cook food for me and my friends, mostly Theplas with delicious curries and plenty of buttermilk. This they do with a lot of love and care. I used to donate some money for the temple. Thinking like this I expressed my gratitude to this Mahatma Jalaram Bapu. I was very keen to know about the history of Jalaram Bapu. I got up, had some light refreshments which are being served 24 hrs day and night. Thinking about this saint I just walked into the beautiful garden and sat on a chair and relaxing. A gentleman approached me and after greeting he also sat by my side. After chit chatting for a while, he told me a very fascinating story of Sri Jalaram Bapu. I was pleasantly surprised, as to how the cosmos or the Akaashik record was answering my questions by connecting to the people who had this information. The story goes like this I may not be able to repeat word by word but can tell you the essence of the story. Jalaram Bapu was born in Sowrashtra in the state of Gujarat. This Punya Bhumi (holy land) had attracted the great souls and influenced not only Gujarath, the entire world in a very positive way. He was born in a business community. His father had a small shop selling groceries to the people of that village. Sometimes Jalaram Bapu was asked to sit at the counter to manage the shop. Jalaram Bapu right from his childhood was very compassionate and sensitive to the problems of poor people, who were hungry most of the time, not having even proper clothing. His energy of compassion and love attracted many poor people to whom he used to distribute various kinds of eatables particularly pieces of jaggery. Noticing this the neighbor of Jalaram complained to his father. His father wanted to verify personally and he made a surprise visit and asked his son to tell the truth. Jalaram Bapu replied with a very calm voice that he was not distributing the pieces of jaggery. Not satisfied with his answer his father demanded him to open the bag and show him the contents. Jalaram Bapu replied that the bag contained only the pebbles and opened the bag for inspection of his father. His father was surprised to see only the stone pieces and satisfied and went away. But in reality the bag contained pieces of jaggery. The energy of compassion which is a basic aspect of the nature, obeyed his command. His Sankalpa being pure, an illusion was Co-Created and Jalaram’s father had seen only the stones, and bag containing pieces of jaggery were never empty. The more he was giving out, the more he was receiving. This is the nature of Quantum Energy.This way Jalaram Bapu has performed various miracles.And all his Sankalpas were manifested by the Nature. On one day two muslim security guards visited him to quench their thirst. Jalaram bapu offered them some water and food and asked them casually as to what were there in their bag . They replied that there was nothing. But in reality they killed some pigeons.Then with calm and quiet voice he told them that they have killed some pigeons and other birds. Addressing the dead birds, he ordered those birds to get up from their sleep and fly away. Instantly the birds came out of the bag and flown away to their freedom. The two muslim security guards trembling with fear and with respect fell on his feet and promised that they would never kill any birds for their livelihood. Jalaram Bapu advised them that “No one had any right to take away the life when they could not give the life. Thus he reformed many people who were on the bad path, to adopt honest way of living with loving kindness to other creatures. With in my mind I thought that there is no country like BHARATH or BHARATH VARSHA which spreads the Universal peace, loving kindness and Harmony to the entire world. No where in the world except Bharath offer Annadana (offering food) Free of cost. In entire East Africa, in all Gurudwaras and in Jalaram Bapu”s temples and followers of Jalaram Bapu offer quality food with a lot of love and care and free of cost. My entire stay of 17 years in East Africa I had enjoyed the hospitality day and night with high quality food. All communities irrespective of their caste, creed, culture and the color could walk in any time and satisfy their hunger. Both continental and Indian food was made available along with accommodation. I realized when the people’s hearts and minds are filled with pure Sankalpa whatever they wish will be full filled by the nature. I also remembered another fascinating story as to how Nature obeys and protects the purified souls. The story goes like this. This was also mentioned in the book AN AUTO BIOGRAPHY OF A YOGI”. In Kashi there lived a Mahatma called “TRILINGA SWAMY” who hailed from Andhra Pradesh. 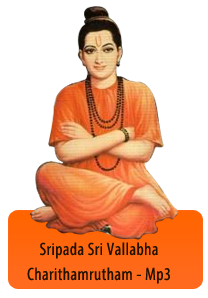 Some people say that he was a Guru of sri Rama Krishna Paramahansa. Every year his weight would increase by one pound. When he was 300 pounds weight this interesting incident happened. He never had DEHA BHRANTHI (bodily consciousness). He was roaming naked in the streets of Kashi. He was always in commune with the energy of God, enjoying the heavenly Bliss. He had detached from the outside world and attached to the God inside. People used to feel a very healthy and joyful vibrations in his presence. In Kashi there used to be a very naughty person involved in the business of making lime for the purpose of construction of the houses. He wanted to tease TRILINGA SWAMY. He invited swamy with a loving words , offered him a glass of lime which would burn the entire system once it is consumed. It resembles like buttermilk. This glass of lime water was offered to Trilinga Swamy as butter milk.Swamy asked him politely whether it was really buttermilk? That fellow assured and time and again and persuaded him to drink the buttermilk. Trilinga Swamy repeated the same question and finally he said it was fine and he drank the lime water which was highly concentrated. A lot of people gathered around with curiosity as what would happen. As the sadistic fellow was also enjoying himself to see Swamiji”s suffering. As soon as swamy drank the lime water. The sadistic fellow started yelling in pain. His entire body was burning inside. He started crying out of pain. 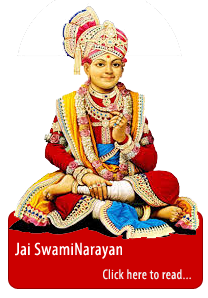 Begging Swamiji to forgive him and save his life.Swamiji without any emotions, with Sankalpa, made him alright and saved his life.T hough Swamiji did not curse him the nature had protected him. Swamiji was in Quantum State. He saw his own” Athma in everybody. His energy was also connected with the energy of this sadistic fellow.T he only difference was the sadistic fellow was not a realized soul. With full of bad intentions which were impure. Where as Swamy was full of compassion and love and saw “ATHMA” in every living creation of GOD. Such people will never curse anyone, even though others try to harm them.. For such highly evolved souls, the nature protects them,and punish the offenders. Thus, whatever questions and doubts I had were answered by the Aakash. My entire body and mind was filled with pleasant vibration and I got up and went back to my room.